New York is an epicenter of commerce and culture. But even busy Manhattanites need recreation to sooth their nerves. Luckily, NYC has no shortage of parks, fields, and courts for sporting types. 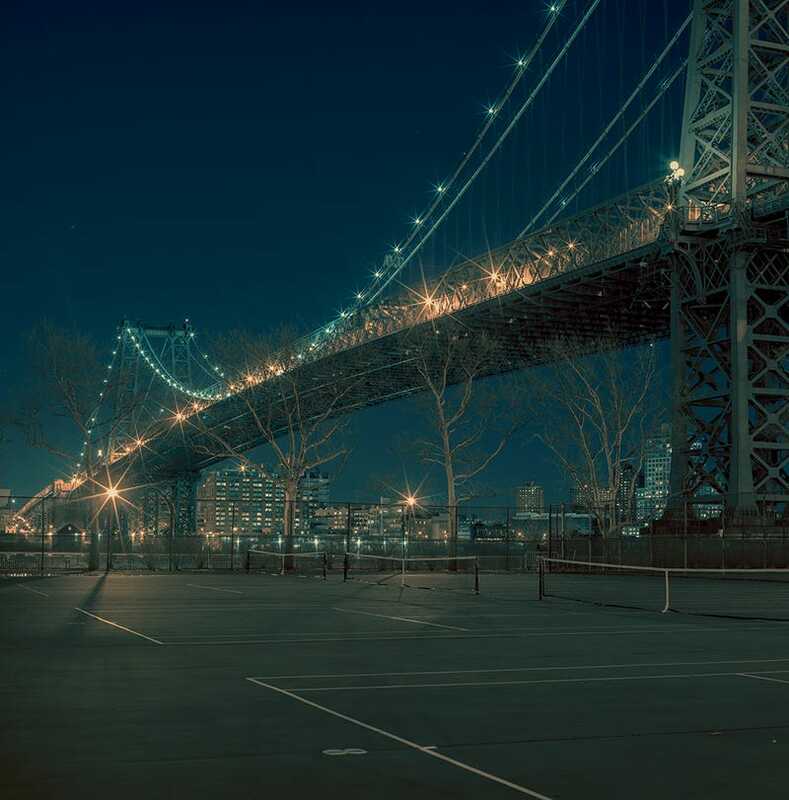 Franck Bohbot's series of cityscapes documenting these various sites scattered throughout the metropolis are an ode to our unceasing desire to get out there and run around. Bohbot has made a name for himself by wandering the streets of New York and capturing elusive moods of the city and its visual splendor. For NY Play, he presents a portrait of recreational areas against soaring backdrops of buildings and bridges. The series manages to shed two conventions of New York photography; it's neither vibrant and kinetic, nor gritty and derelict. Instead, Bohbot evokes an ordered and serene vision of the city. It's distant, but beautiful. I especially like the photos shot at night, where the city lights illuminate the empty spaces.